The program includes the releasing of trout in the nearby Diamond Valley Lake Reservoir. View the most recent TIC activities and trout release at E. Hale Curran school. In the third grade component, the students became acquainted with the threatened and endangered plants and animals that are found at the Reserve and in other similar open spaces. They were introduced to habitats and some natural science terminology. The next step in the pathway for 4th and 5th graders is to begin to understand ecosystems at the Reserve, especially the grassland areas and the native plants that comprise grasslands. They learn how open space and grasslands disappear and how native plants, mammals, birds and insects create an intricate web of life. The lesson starts with learning how to identify native from non-native plants. They discuss how the non-native plants can take over the native plants. They harvest native seeds from the Reserve and grow them in their classrooms and keep a journal of the process of harvesting, planting, monitoring and transplanting. Students also learn that removing native species (plant and/or animal) from an ecocystem is like taking rivets out of an airplane wing; it is impossible to know which one will be the last one that was holding the whole thing together. The grassland restoration program takes place over an eight-month period beginning in October and concluding in June. 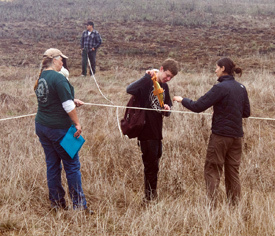 The same classes of students return approximately every three weeks for half-day field work instructed and mentored by teachers, Naturalists and Botany graduate students from the University of California Riverside. Students gain awareness of how environments and habitats become altered and endangered and how that affects our world. They are allowed to go off trail in search of a grassland plot on the Reserve in need of restoration. The learn how to articulate elements of the section such as its soil and plant condition; and the number and type of native and non-native plants. They research the different techniques for restoring a grassland and set about to develop a plan and conduct the actual work associated with the restoration. In the process the learn field biology/ecology techniques and science techniques. 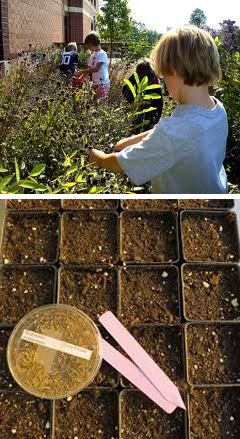 Those students who participated in the 5th Grade Seed Bank Study, and now entering the feeder middle school, will be mentored to share their experience of identifying, growing and analyzing native plants. Students become acquainted with local watersheds including Cole Creek located on the Reserve. They begin to lean about the water quality of these local watersheds and how that quality affects the survival of animal life in the water habitat and along the creek beds. The high school Habitat Studies and Restoration program continues every two weeks for eight months beginning in October to May. Students are now engaged in advanced field work in two habitats/ecosystems – Grassland and Watershed. The watershed study focuses on why the Steelhead trout is a threatened species in our local watersheds. They will analyze the habitat condition of each and propose science questions as to how the areas or species can be restored. Science and Chemistry teachers and graduate students are involved in guiding students as they develop a scientific-based restoration plan in answer to the question posed. They will perform soils and water analysis; research the natural history of the habitat and develop a proposed restoration plan; they document and report their findings and results at the end of the eight months. High school students will learn how to mentor the middle school and elementary students participating in the seed bank and middle school grassland programs. 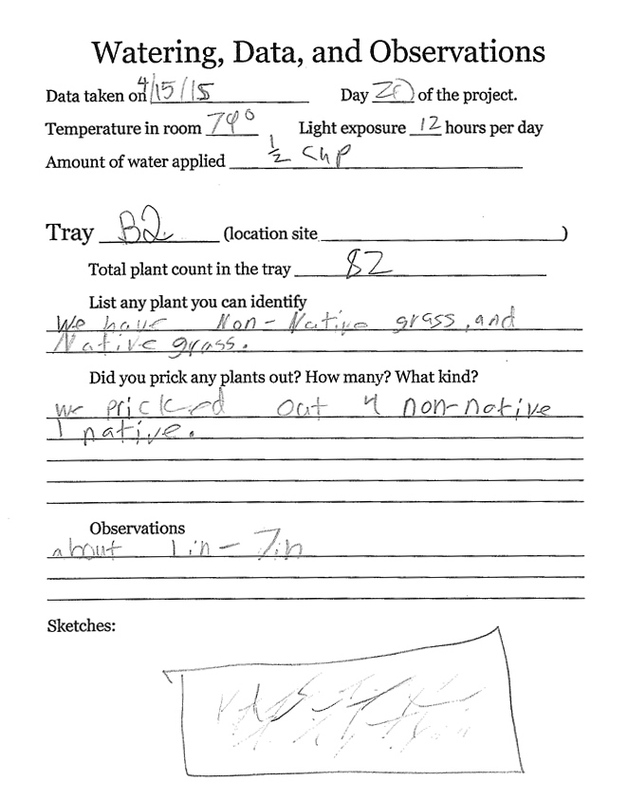 View recent habitat studies field work by high school and middle school students.